For the tough souls who love monsoons, travelling in the rains only adds to the immense delight. Moreover, following the amazing trails, while trying to explore new places gives a feeling of independence when coupled with the best roads for the monsoon. So, are you geared for your monsoon road trip? Here are five options, if you want to enjoy the monsoon rains on the roads. Delhi to Udaipuris one of the finest ways to travel during the monsoons. The roads are perfect for traveling, and the changes in the weather, culture and the sceneries are delightful to watch during this season. Travel of 10 to 11 hours with a break of 2 or 3 hours, is what is required. The land of Rajasthan is known for the regal beauty and grandeur. 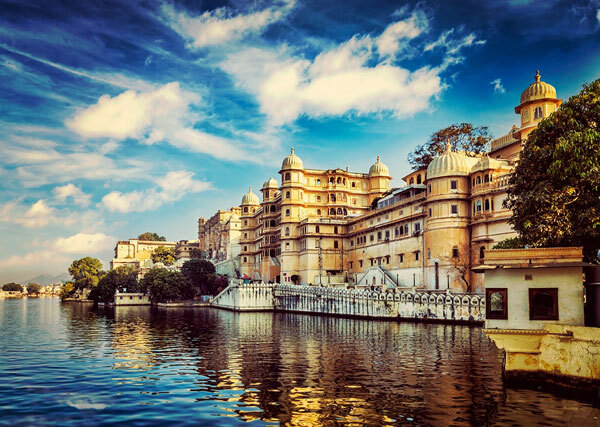 Extravagant palaces that boast about the design of the past, the havelis, lakes and buzzing streets with locals, camels, and the dancers of local folk, allure the travellers to Rajasthan all-round the year. But, not many explore the beauty of the Venice of East during the monsoons. The Aravalli hills that surround Udaipur offer a fantastic view of the moving clouds, and travellers can enjoy the local arts and crafts any time of the year. Plus, you are spared from the buzzing roads during July to August. The climate is also pleasant and the best time to try the spicy Rajasthani cuisine. The place takes 11 hours through the roads from Delhi, and the season improves the beauty of Udaipur. A few noteworthy choices are Fateh Sagar Lake, City Palace, Jag Mandir, and Lake Pichola. If you love early morning monsoon drives, then Kolkata to Bishnupur is what you need to try. A small drive of 4 hours on a pretty good national highway can rejuvenate you. But, if you are going to start a bit late, then be prepared for interventions. 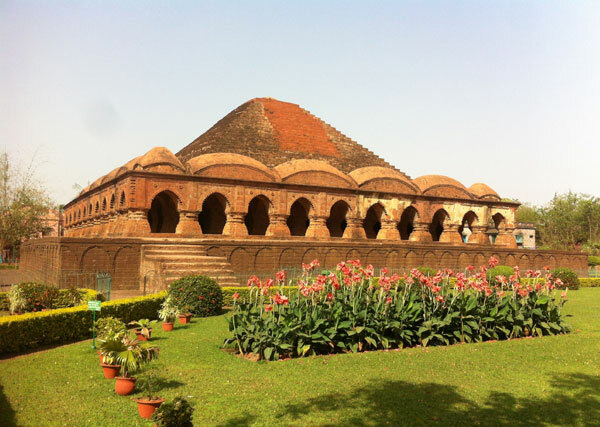 For the lovers of Terracotta architecture and crafts, Bishnupur is a splendid choice to explore during the monsoons. This cultural centre of West Bengal dates back to the 16th century, to the Malla dynasty. The attention-grabbing terracotta architecture gets a makeover during the monsoon and looks reddish orange and provides a spectacular view. The greenery around the architecture adds to the blissful hues of the place. The perfect times to walk around the Malleshwar temple, and Bishnupur School of Painting is during the monsoons. For the lovers of the thrilling adventures, Goa has space to offer during the rainy days. 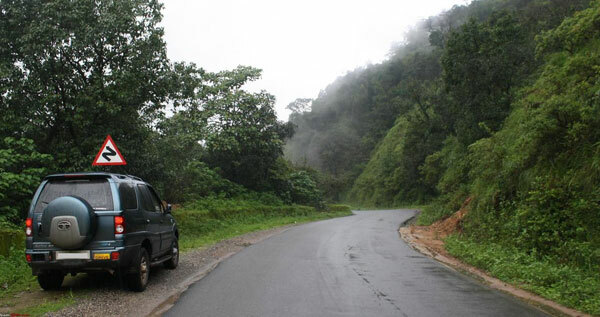 A smooth road is available from Goa to Dudhsagar. So, set foot towards the border of Karnatakaand land near the Dudhsagar falls. Admire the falls’ milky white beauty when it rains. The lush green forests and the milk-white falls can make you stand for days in the same place. 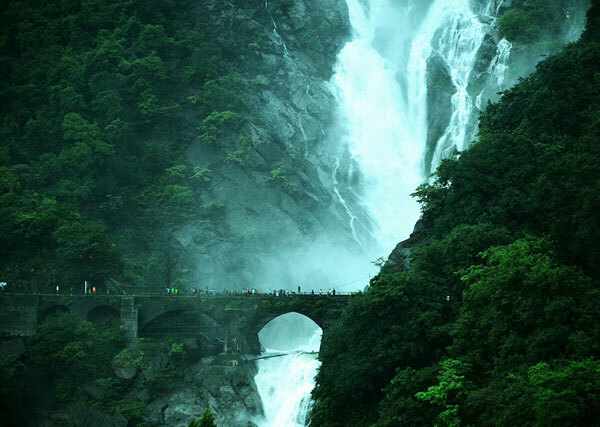 You would forget the beaches of Goa, only when you get to see the Dudhsagar falls during the monsoon. Love long treks? Love rains? Then visit Ladakh in monsoon. Visit the Tibetan style monasteries, Kali temple that has a collection of masks, Indus River, Nubra valley, Zanskar River, Khardung La, and a few parts that run into China. The entire journey is through the beautiful Thiskey village, which is the best place to drive through and grab the glimpse of nature’s beauty. 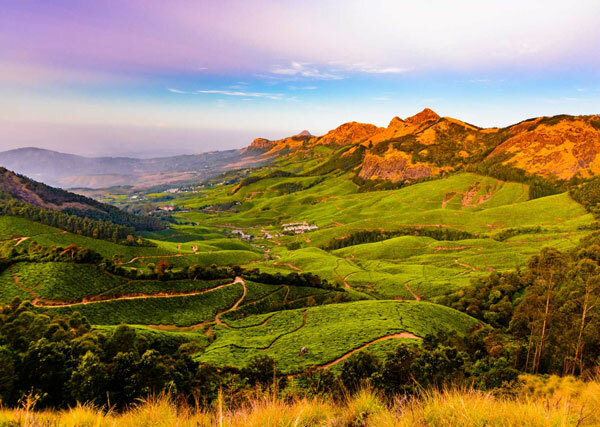 The plantations surrounded by the emerald green tea estates of Kerala never lose their beauty, and it is only perfected more during the monsoons. For the quiet vacation or to immerse in nature, this is the best place to try during the rains. 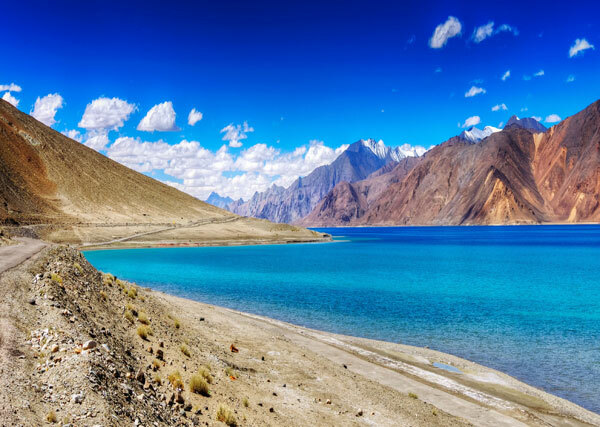 The places listed here are perfect destinations during the monsoons to quench the thirst of your travel. But before commencing your travel, comprehend the need for a comprehensive car insurance policy. A comprehensive car insurance policy is an extensive insurance plan for your car and covers damages to the car, legal liability to third-party, theft and personal accident cover. You can buy car insurance online from the reputed insurer and eliminate the risk of paying from your pocket for expensive repairs of damages following an untoward scenario. Moreover, buying car insurance online is a sound decision as it offers wide range of coverage options and compensates for more than just vehicular collisions.